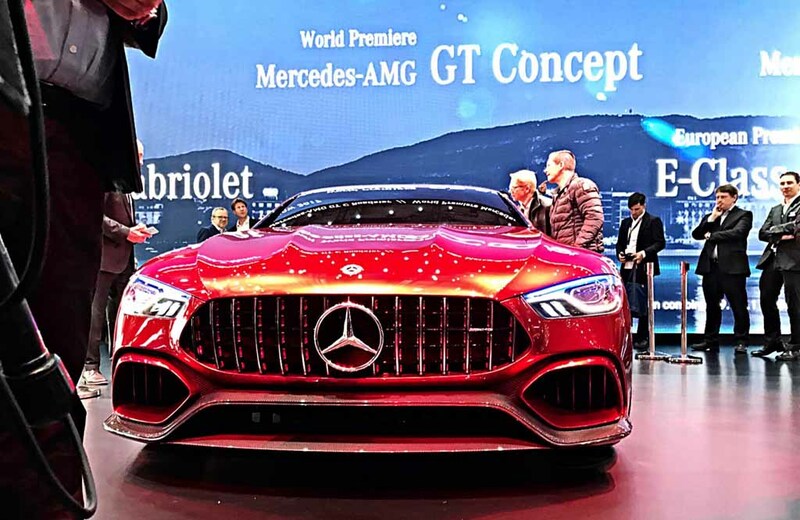 Mercedes-AMG performance brand has uncovered the AMG GT concept at the Geneva Motor Show. 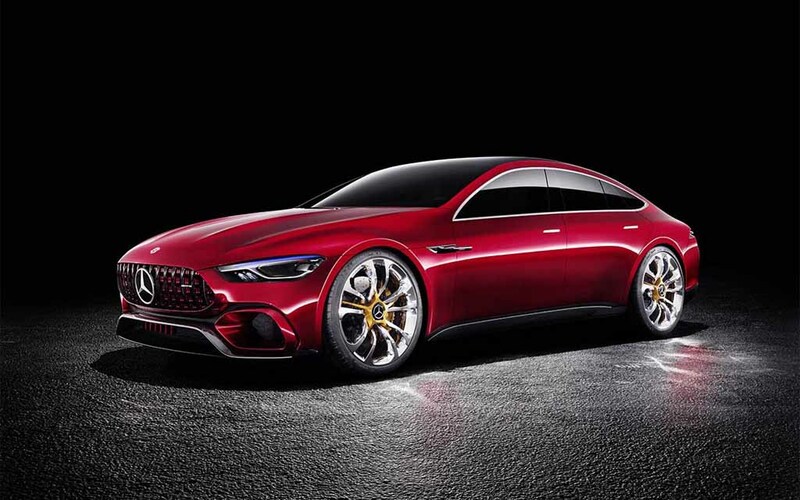 The low-slung fastback sedan concept comes wearing a beautiful design blended with the masculine beast-like character. 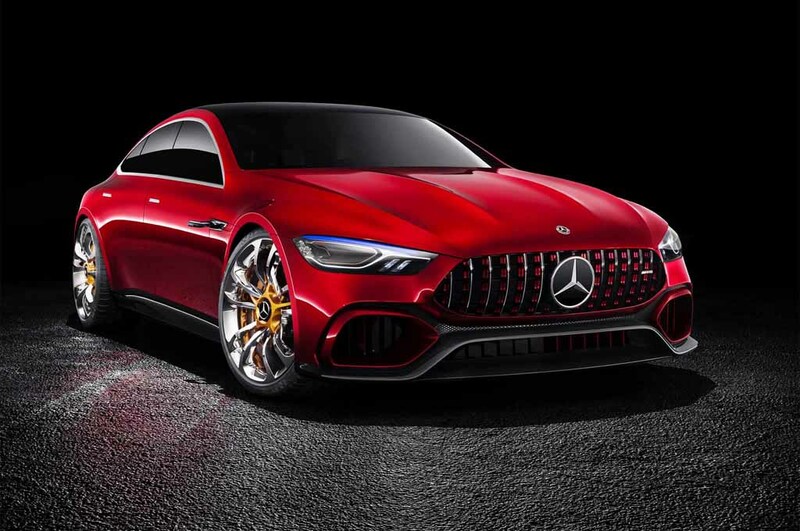 It is inspired by the AMG GT supercar and carries an F1-inspired EQ Power hybrid powertrain generating massive 805 hp of peak power. 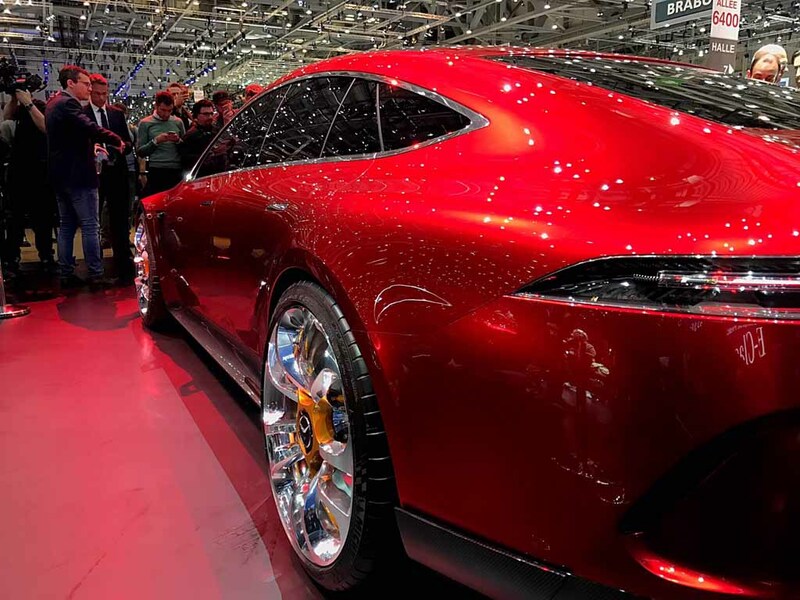 The car is claimed to be capable to reach 0-100 kmph in less than 3 seconds. 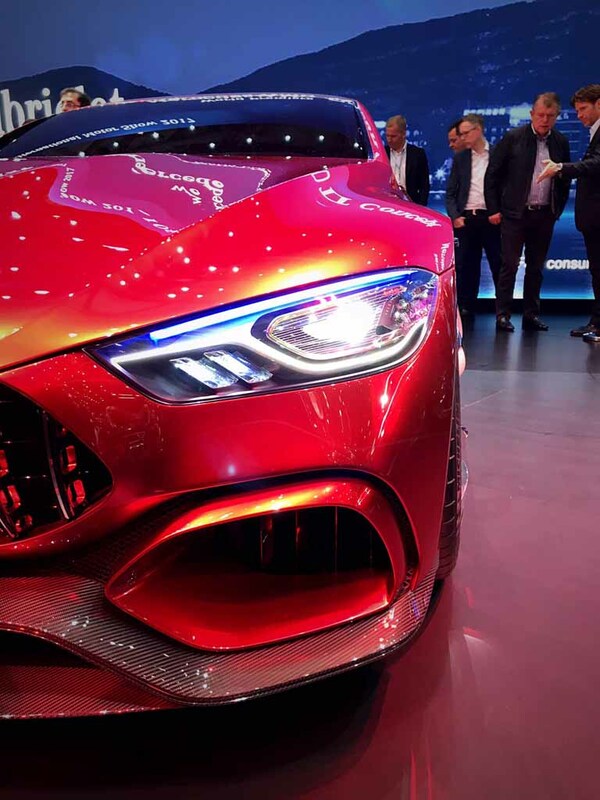 Coming to the design detail of the car, it sports sharp LED headlamps with LED daytime running lights. The large vertically slated Panamericana front grille gives the front fascia a bold look. At the front bumper, the carbon fibre elements enhance its performer character. 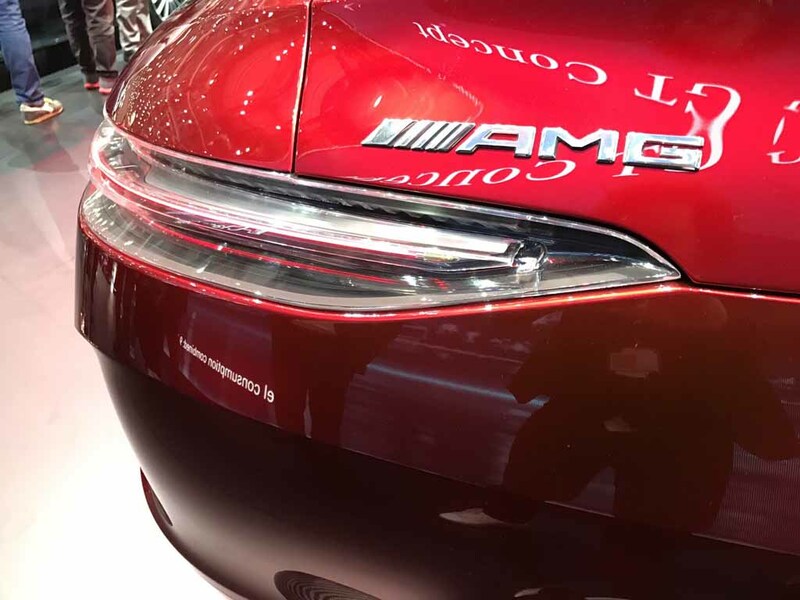 The sharp creases on the hood increase the sculpted appearance further. 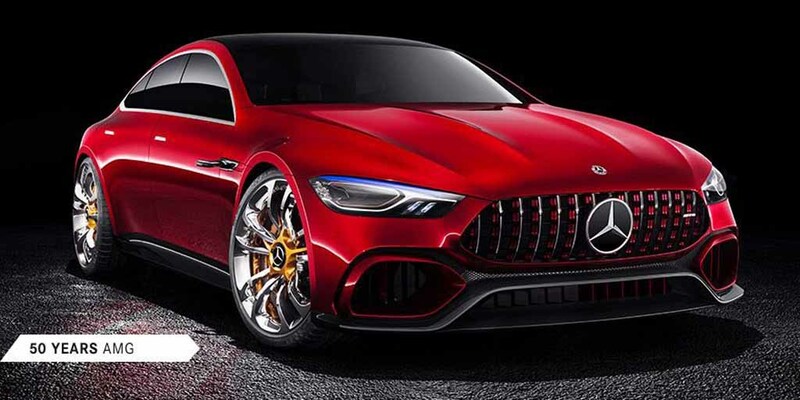 The side profile of the Mercedes-AMG GT concept bears a smooth flowing appearance, which blended with the large beasty looking alloy wheels, mirror-cam pod at the front fender, pillar-less glass area and nice curved roofline makes the car obscenely beautiful. 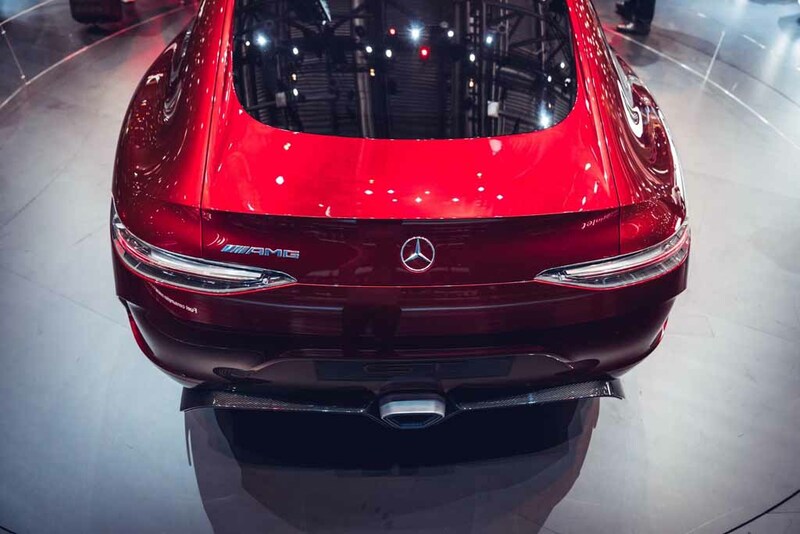 The rear fascia bears a design that echoes Mercedes-AMG GT coupe’s style. 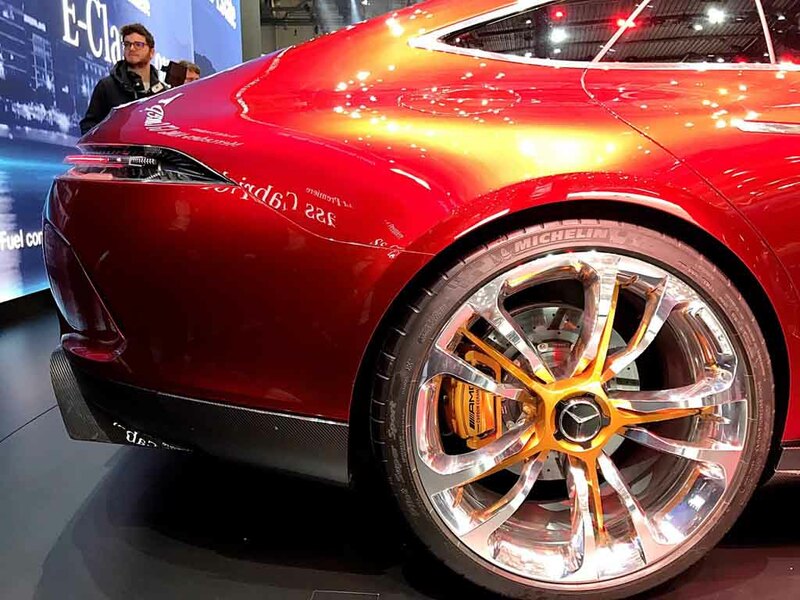 The fastback rear end hides a lifting tailgate. 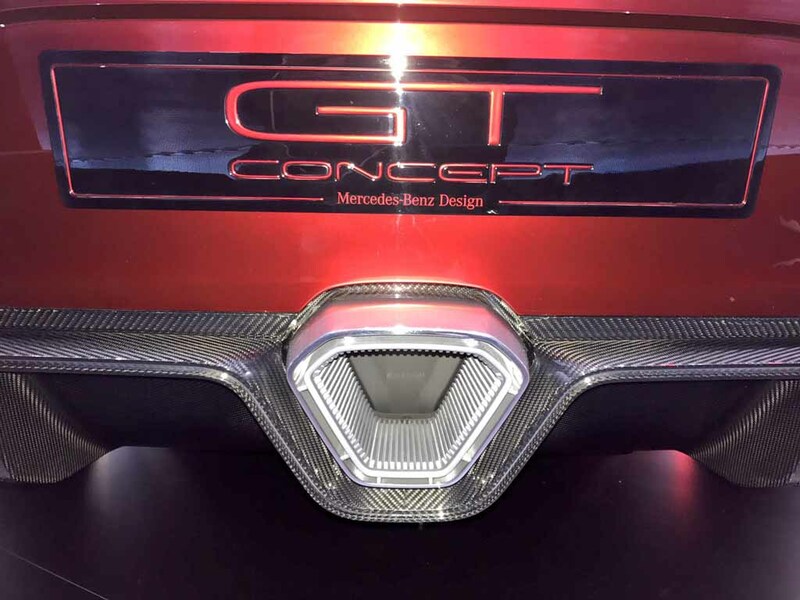 Sleek LED taillights, a massive rear diffuser with carbon fibre trim are the design elements visible at the back of this concept. 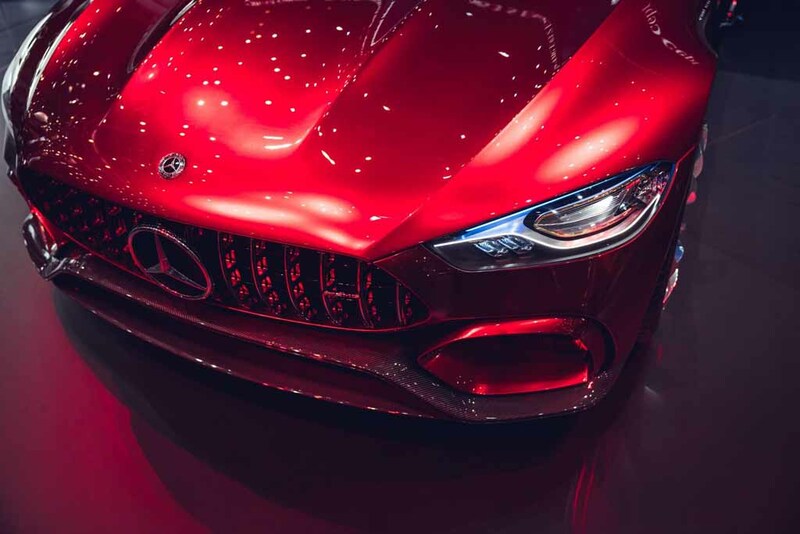 Interior of the concept is yet to revealed, but expect elegance, style and power to be blended in the finest manner inside the cabin of the Mercedes-AMG GT concept. 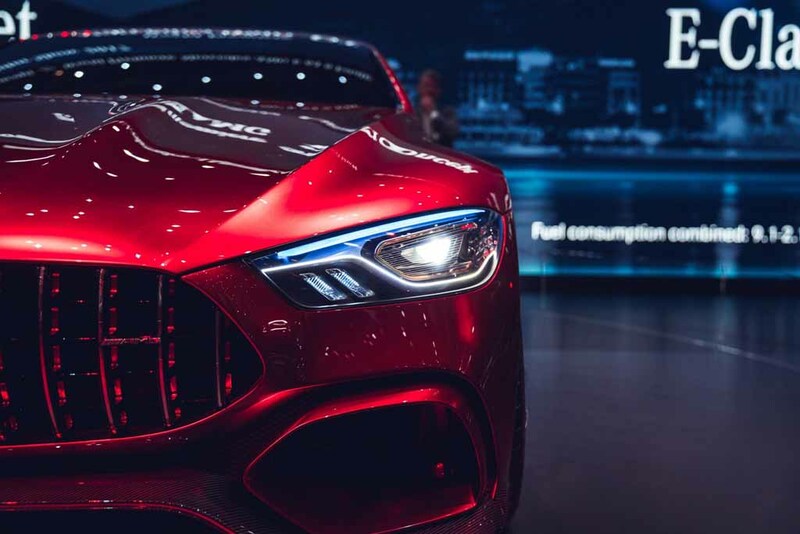 The occupants will surely enjoy the best possible luxury from the premium car’s interior through the features and top-notch quality materials. 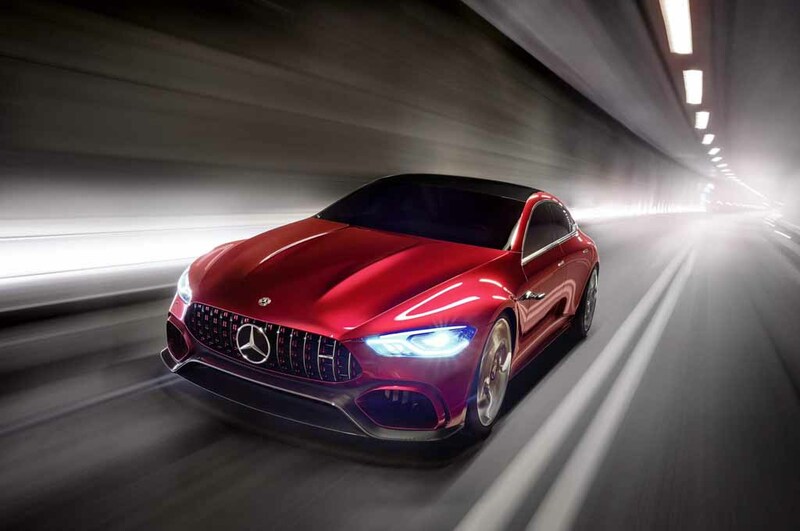 Apart from design, the powertrain of the Mercedes-AMG GT concept is surely the USP of this model. 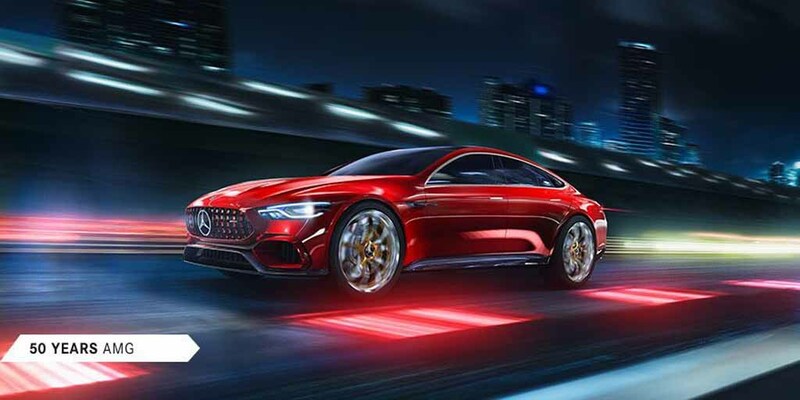 Interesting fact is this powerful concept gets power from a hybrid powertrain comprising a 4.0-litre biturbo V8 engine with the German luxury car brand’s 4Matic all-wheel drive system. This engine is combined with an internal combustion engine and combined they will produce around 805 hp of peak power. It comes with three operating modes – pure electric, pure combustion engine and a hybrid mode.